Nothing says spring quite like camellias in bloom. These evergreen shrubs produce an abundance of showy flowers measuring up to 5 to 6 inches in diameter in late winter or early spring. Colors range from white, yellow and pink to reds and purples with plenty of variations in between. 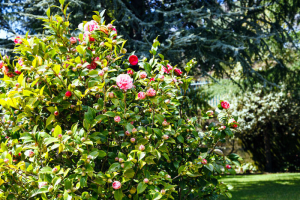 Camellias make a dramatic display inside the home, especially when you include a few of their glossy green leaves. What Does the Camellia Flower Mean? Like many flowers, camellia is both the common and scientific name for these showy flowers. They were named after Father Georg Joseph Kamel when the father of taxonomy, Carl Linnaeus standardized plant names in 1753. Ironically, Kamel was a botanist, but he did not work on camellias himself. 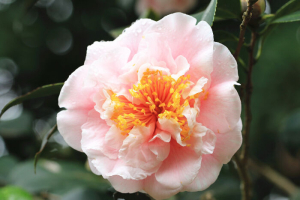 The camellia flower has enjoyed a rich history, including its reported inclusion in the secret gardens of Chinese Emperors. China – The camellia flower is highly regarded in China and is even considered the national flower of southern China. 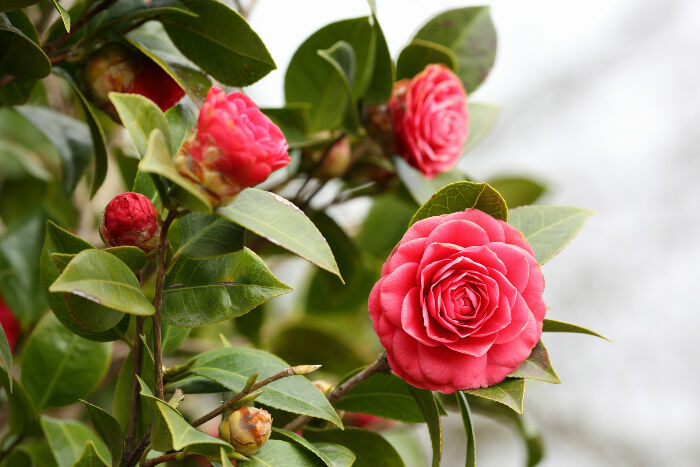 The camellia flower symbolizes young sons and daughters. 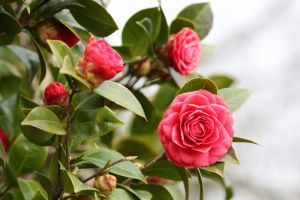 Japan – In Japan the camellia flower is called “Tsubaki” and symbolizes the divine. It is often used in religious and sacred ceremonies. It also represents the coming of spring. 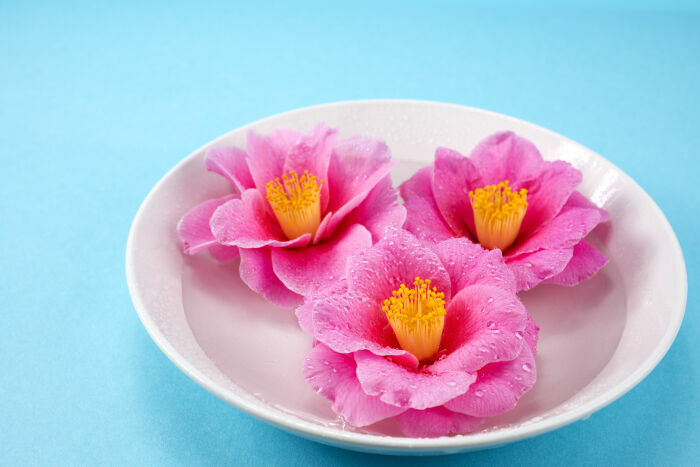 Korea – In Korea the camellias flowers is a symbol of faithfulness and longevity. They have been part of traditional Korean wedding ceremonies since 1200 B.C. 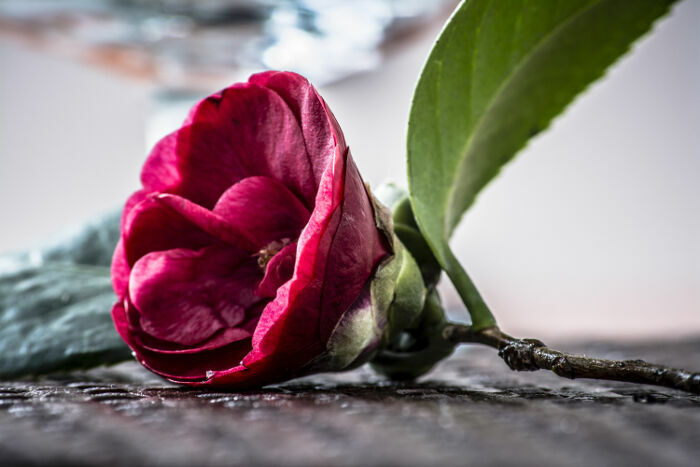 Victorian England – In Victorian England the camellia bloom sent the secret message that the recipient was adorable. 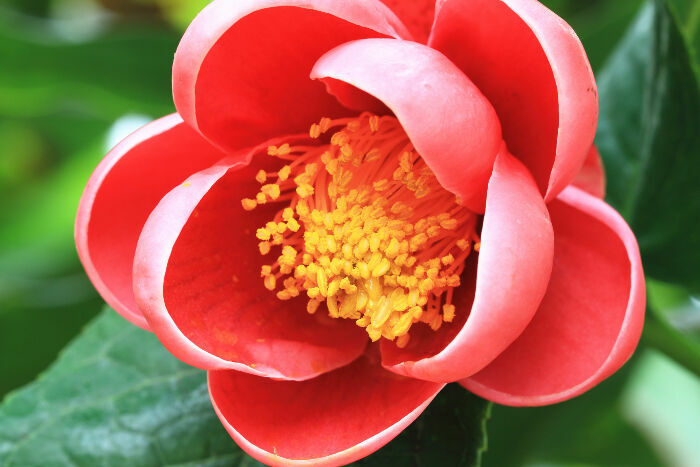 United States – The camellia flower is the state flower for Alabama and typically represents southern beauty. The camellia flower in native to Japan ad China and has been part of their cultures for thousands of years. 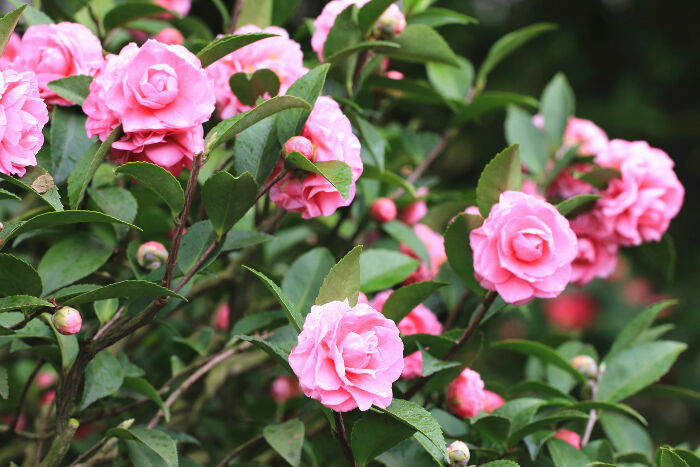 In fact, the Chinese were cultivating camellias by 2737 B.C. These flowers did not reach Europe until the mid-1700s, and made their way to North America shortly before the turn of the century. The evergreen shrubs produce an abundance of colorful blooms against dark green foliage. The shrubs typically reach heights of 5 to 15 feet, but can grow to heights of 20 feet or more if not trimmed regularly. The blooms resemble that of a rose, and can be either single or double blooms. What a camellia flower means depends in part on its color. Here are the common color meanings for camellia flowers. 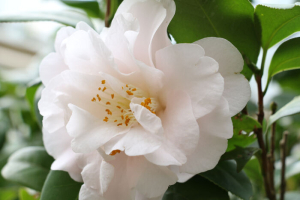 White – White camellias mean several things. They can mean purity, the love between mother and child or mourning when used in funeral flowers. When presented to a man, a white camellia is thought to bring luck. Pink – Pink camellias symbolize longing. Red – Red camellias symbolize passion or desire. Red and Pink – Combing red and pink camellias expresses romantic love. 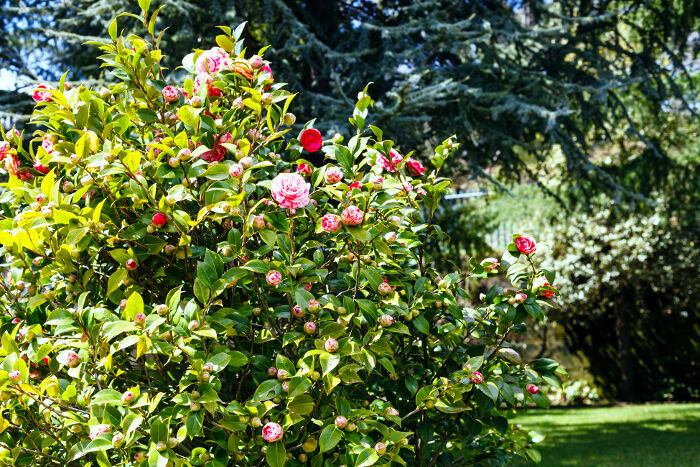 While camellias are typically ornamental in the United States, they have other valuable uses. Camellia sinensis is used to make camellia tea. According to legend, the tea was discovered when an early Chinese emperor ordered all the water in the land to be boiled before drinking to prevent disease. Some dried camellia leaves fell in his cup and began to steep. He was so taken by the flavor that camellia tea was born. Other varieties of camellias are used in Chinese herbal remedies to treat bacterial infections, heart disease and asthma. 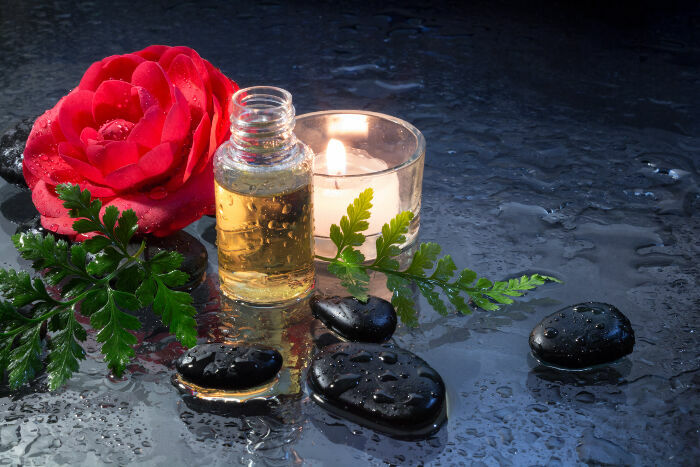 Tea oil made from some varieties of camellia plants is used as a cooking oil in China. Camellia oil is also used to sharpen knives and other cutting blades. 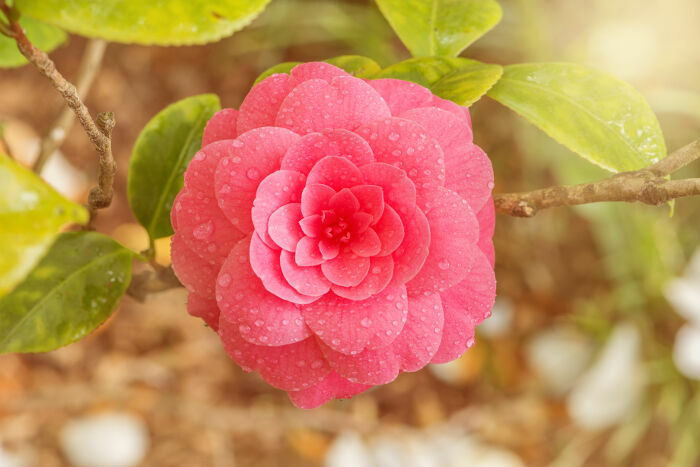 The camellia flower’s message is one of love and positive thoughts. There are plenty of colors available for you to mix and match in style to send just the right message to the one you love. I recall hearing a biblical reference to camelias being in bloom when Christ was born… which made sense to me b/c in Arkansas my camelias bloom in winter. Animal question will this plant hurt goats? Maybe because her family name (also Shiro’s family name) is ‘Tsubaki’ which refers to the flower. And carmellia are often used in religious and sacred ceremonies. I’m so blessed and thankful my name is Camellia . I absolutely love it??????????? ?